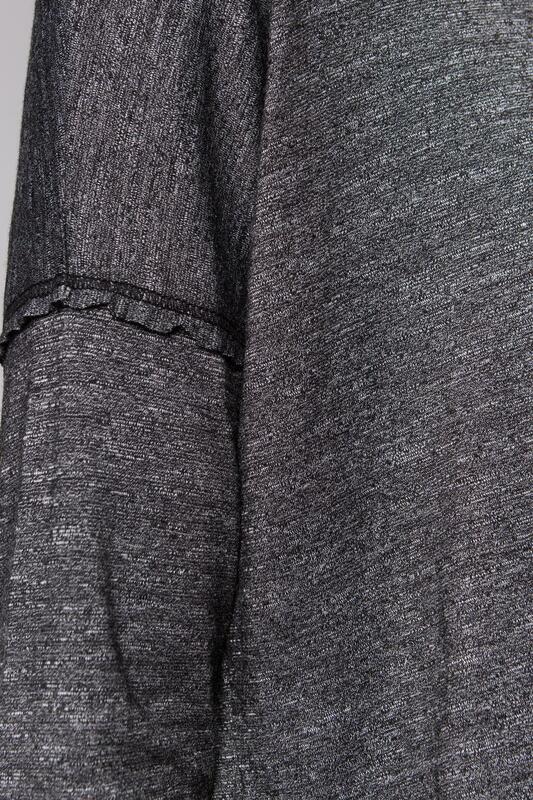 Melange Jersey Raw Edge Drop Shoulder Mid Crew. 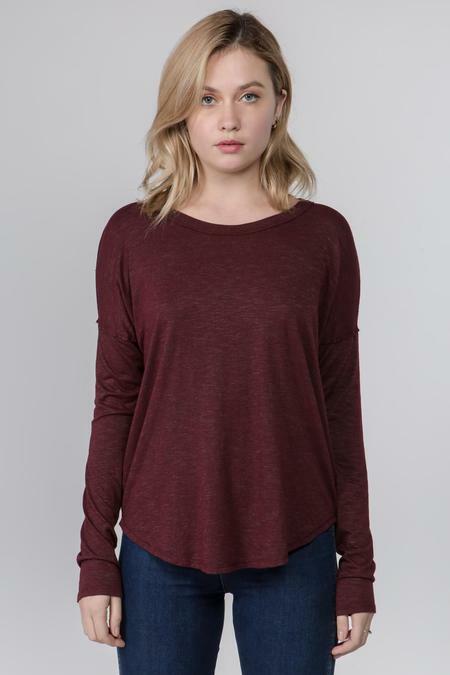 A wider body with a raw edge drop shoulder seam creates a nice modern style. The slightly lower rounded bottom hem creates a slightly higher rounded side seam. Model is 5'9" and wearing size small.